One woman's noble quest to help animals in need has been met with some harsh opposition online - but she's refusing to let bullies discourage her. 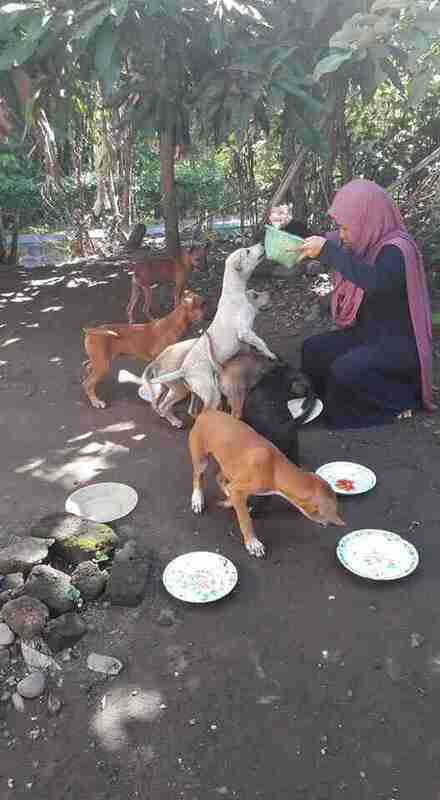 For the last 15 years or so, Desy Marlina Amin has devoted her time caring for and feeding homeless pets near her home in Lombok, Indonesia. As a Muslim, Amin says she's inspired to carry on out of love and respect for God's creations. Still, not everyone has been supportive of her efforts. Amin frequently posts about the animals she's helping on her Facebook page, which has amassed more than 14,000 followers from around the world. 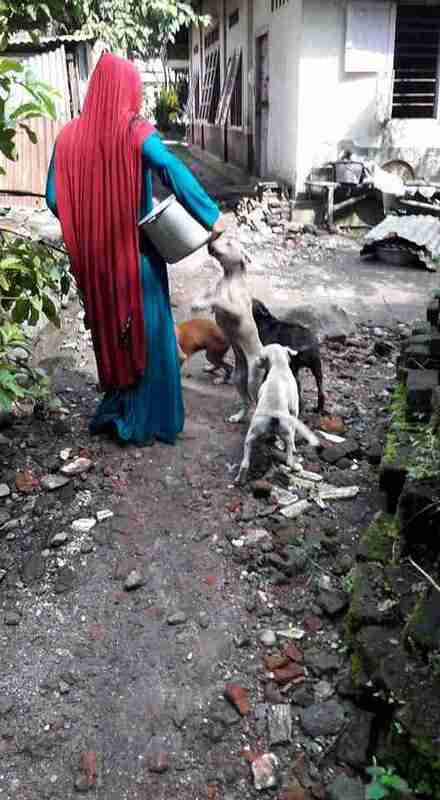 While most people are encouraging of her selfless work, others have tried to shut her down. Some have even threatened her life. "I get a lot of warnings in my inbox," Amin told The Dodo. "People say they want to kill me. I don't care. Some people talk badly because I help these animals." 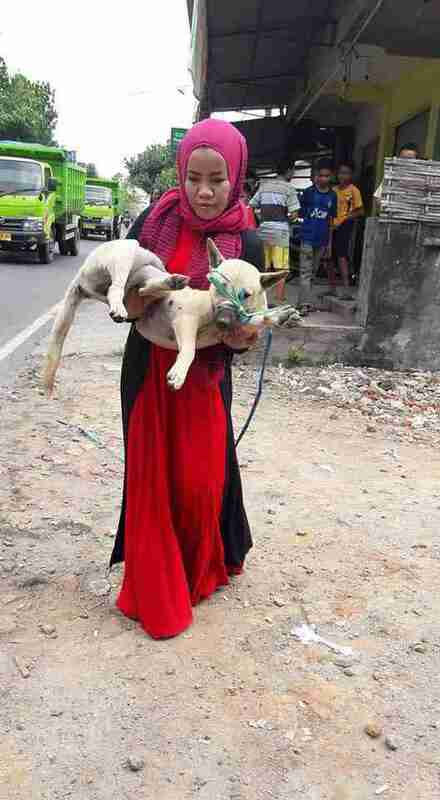 In some interpretations of Islam, dogs are considered "unclean" animals that people should avoid even touching. Amin's critics have told her she's offending God by doing so, but she sees things differently - and she's not backing down. "I don't care what the people say. I've never asked anything of the people who are angry with me," she said. "I don't understand why we should be scared of dogs, as Muslims. If you think they are unclean, you can wash yourself. I always wash my hands before I talk to my God, then I keep working." Indeed, for the lifelong animal lover, coming in contact with pets who need help isn't about reneging on her religious duties, but rather fulfilling them. 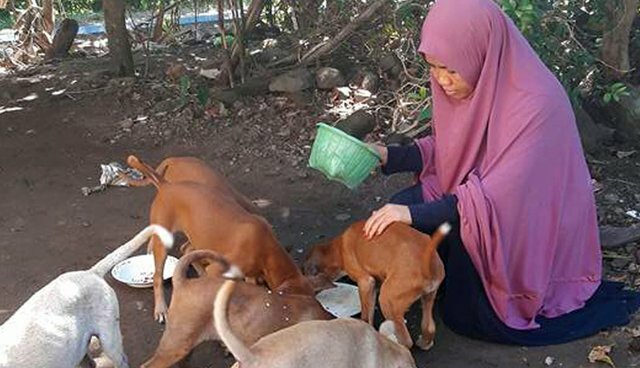 That's why, nearly every morning before starting her job as a taxi driver, Amin prepares healthy meals to ensure local dogs and cats have enough to eat. "I know God looks at me. I know God listens to me. He knows me. He smiles seeing me feeding the animals he created," she said. "I take care of what he created. He created this world not just for humans, but for every creature." The bullying online has been constant, and she sometimes gets harassed on the street as well. But for Amin, the reward for doing what others around her will not makes it all worth it. "This is my happiness, to see the animals can eat," she said. "I believe the dogs and cats pray for me. When I'm sad, they pray for me. I really believe that." 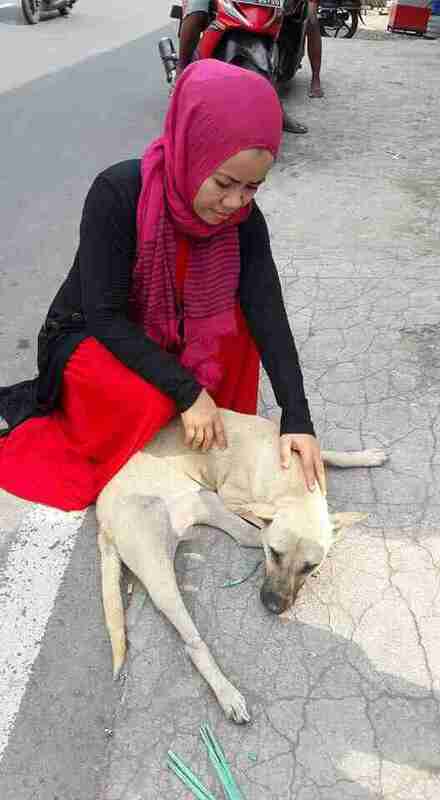 More than 60 dogs and cats are currently under Amin's care, and she pays for what they need out of her own pocket. For those interested in supporting her cause, Amin's donation account info can be found here.